With his project ‘Continuo: Praha!’, Florian de Visser aims to expose one of the invisible motors of the current Prague 1 area; the packaging used for transport of products and souvenirs from all over the world to our shopping streets. In Prague 1, cardboard packaging arrives and disappears through back entrances. 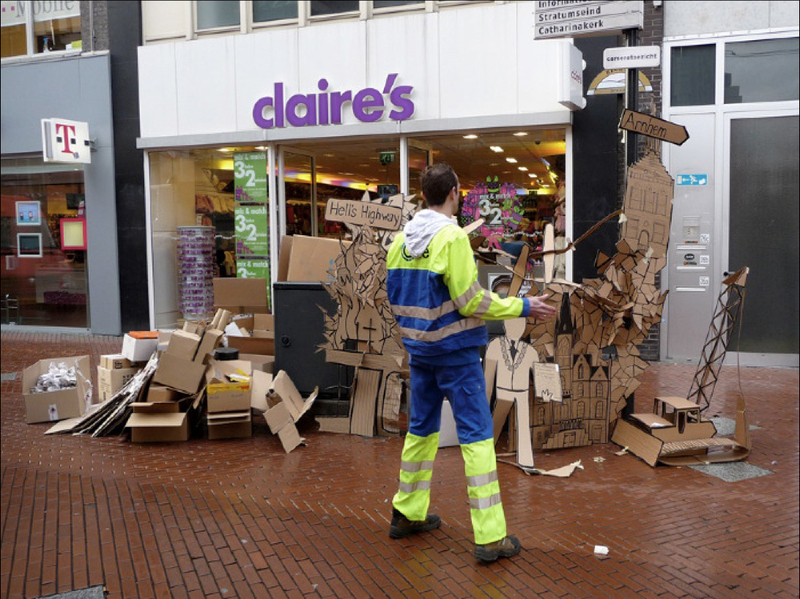 Florian will create an artificial public garbage collection moment in front of the shops, transforming the cardboard into scenes of several events from local history which have contributed to the present day environment of the street.